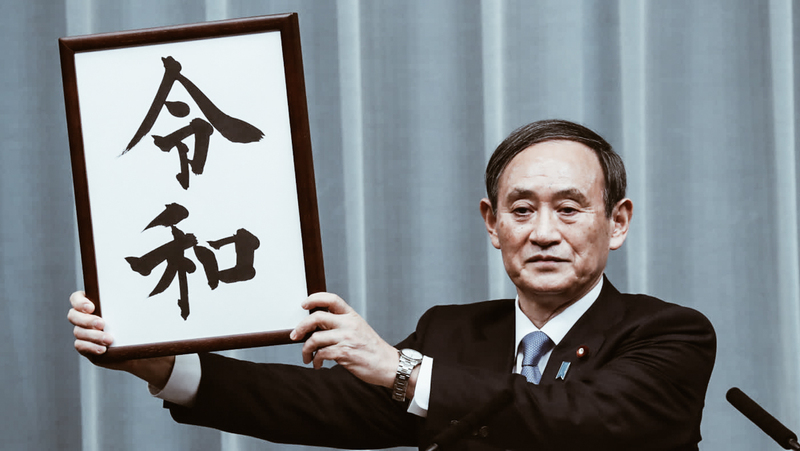 Exactly one month ahead of Prince Naruhito’s accession to the throne, Chief Cabinet Secretary Yoshihide Suga announced the beginning of the new Era for Japan. Reiwa, formed by the kanji 令 (rei) “auspicious”, “ordered” and 和 wa “harmony”, “peace”, reflects the spiritual unity of the Japanese people, because “culture is born and nourished when people take care of each other lovingly” explained Prime Minister Shinzo Abe immediately after the announcement. In the Japanese culture, the periods of time throughout history are subdivided according to the system of “eras”, gengō (元号): it involves the use of two kanji that represent the hopes, ideals and good intentions for the period to come, followed by the number from the year of the emperor’s mandate. 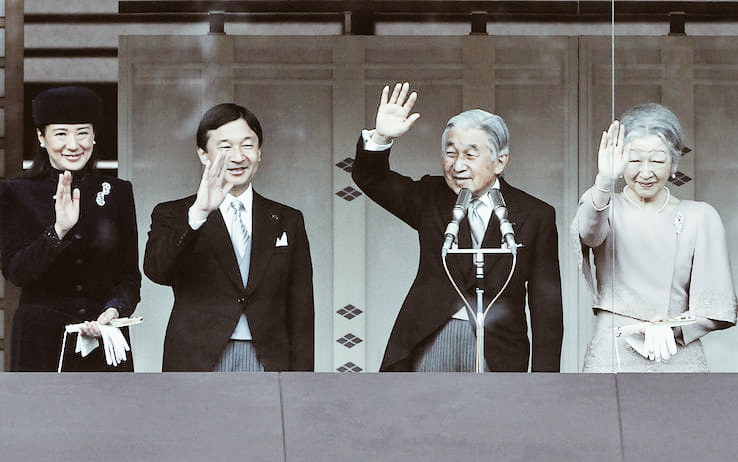 According to this system, from 1989 the current era is Heisei 31 (平成31), or the 31st year of the Heisei Era (31 years of “achieving peace” under the guidance of Emperor Akihito). From May 1st, 2019 we will be officially in the Reiwa Era (令和1 – Reiwa 1). Unlike all previous eras whose names were inspired by Chinese literature, Reiwa has its roots in Man’yōshū, 万集 “The Collection of Ten Thousand Leaves”, the oldest collection of Japanese poetry that has survived till today. The authors belong to all walks of life: members of the imperial family, peasants, soldiers, artisans and monks. This choice breaks an over 1300 years old tradition and has a highly symbolic value for Modern Japan. We are wishing for an era of hope and unity and, above all, an era aimed at the preservation of nature. Reiwa will face a path aimed at harmony and to give strength to a nation that in the course of history has always raised up with pride in every adversity and that has never been pulled back. The word Reiwa is so full of serenity, even in its pronunciation! The harmony, the peace, the balance that characterize a the people of a nation like that of the Rising Sun thus finds its fulfillment. Just a few days ago, I had a fixed idea in my mind: “a new beginning”, I even wrote a thought entitled “Start of a new chapter”, and having woken up with the announcement of this new Era, shook me positively. 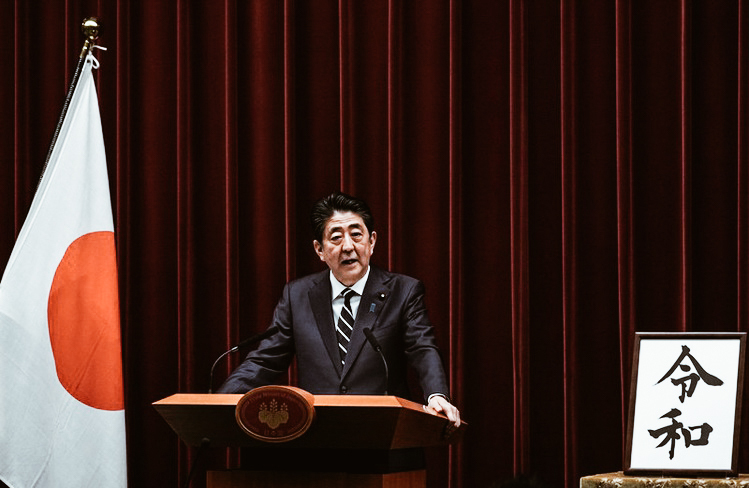 Furthermore, after hearing Prime Minister Abe’s speech, my heart was filled with hope. I like the proposal for greater openness to work for those coming from abroad and I believe that this can bring a prosperous future for Japan worldwide.